With NAFTA renegotiations, Brexit and other international trade impacts at the forefront of everyone’s minds, retailers are faced with a challenge to manage the flow of goods, information and money across borders. The industry can no longer rely on manual processes to manage their trade operations; the complicated nature of international logistics and the supply chain has revolutionized the way global trade management (GTM) software is delivered. With a myriad of providers to choose from, retailers often juggle disconnected platforms to manage already complicated tasks. What they really need: a single source of truth. GTM is a complicated process with numerous parties involved and multiple moving parts to track. Communication is key throughout, but it becomes difficult to manage when switching back and forth between platforms – one to manage suppliers, another for financial parties. If not seamlessly connected, retailers and other players will face a lot of challenges with inefficiencies, inaccuracies, increased costs, and limited time and manpower. Retailers can’t afford to operate on multiple platforms, especially when faced with the global uncertainty the industry is sure to see in the years ahead. Instead, retailers should be able to manage everything in one place, from regulatory requirements and customs compliance to financial and logistics information. A unified platform provides the necessary visibility into quality control, supplier compliance, import and export, supply chain, customs, and finance all in one place. With one source of truth, retailers can increase the efficiency and agility of their supply chains by improving on-time delivery and better aligning supply to the latest demand patterns. Retailers, suppliers, freight forwarders, carriers, customs brokers, and banks have a single unified view of their financial, logistics, and compliance information across the supply chain, with deep regulatory intelligence that provides a worldwide, centralized space to mitigate risk. With everything housed in one place, retailers can ensure the product development process runs smoothly. Suppliers can create accurate invoices and error-free packing lists, finance organizations can trust payment processing, and retailers can more easily tap their community for information and feedback, resulting in a better end product, faster. With a platform like Bamboo Rose, retailers can also extend payment terms and reduce working capital to drive down expenses. By consolidating supplier demand, retailers can take advantage of better prices – especially considering many vendors want to be paid as soon as possible, and will provide a discount for faster payment. With an efficient GTM platform, retailers can work with financial organizations to ensure payment is made as accurately and quickly as possible to take advantage of their full range of supplier options. An integrated GTM platform can revolutionize the way companies conduct global trade. With deep regulatory and country-specific intelligence embedded into the Bamboo Rose platform, automating all aspects of P2P and GTM, we handle it all – from progressive purchase orders to quality control and supplier compliance to finance, logistics, and supply chain visibility. See how Bamboo Rose can help you collaborate, source globally, and manage orders across time zones. 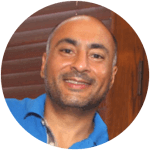 Chirag Patel is a 20+ year veteran of merchandising and supply chain technologies. He is a leader in Bamboo Rose’s customer care management and sales in North America. Chirag loves to grill outdoors and spending time with his two daughters.